Every vintner aspires to individualism in perfect harmony with Mother Nature’s gift to him, that is to say the lands and vines he tends so lovingly. At Corte Adami these natural assets afford the pleasure of a privilege to which few have access. 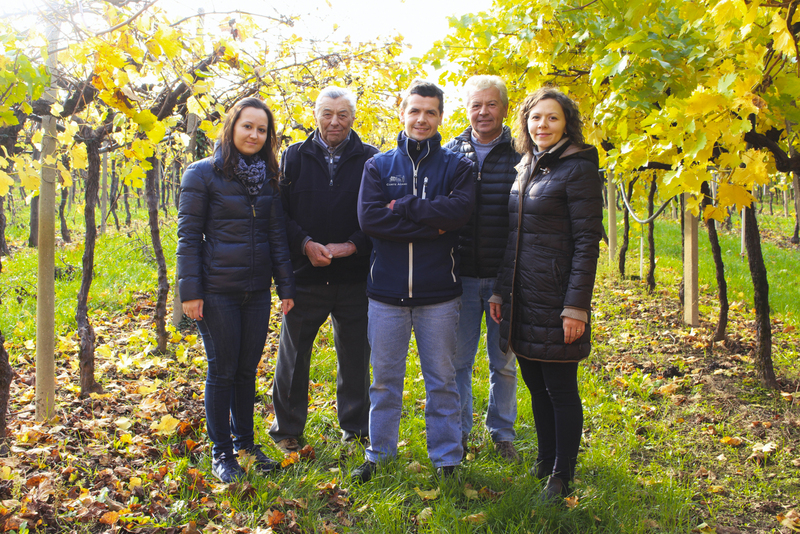 For generations the Adami family has literally cultivated its passion for the fruits it harvests annually, for the lands it tends with loving care and for the good things in life which, as such, are precious. The company’s wines embody this passion for all things good, which are unquestionably cherished elements on this family estate. The family, although an old one with traditional values, is also visionary. This is why in 2004 Angelo and Andrea decided to start making their own wine, in addition to being wine grape suppliers, with the same aim as before: that of producing superior wines. True, genuine wines, the perfect communion of the winemaker’s skill, the hidden treasure yielded by the land and the immense wealth of knowledge of the local grapevines converge into a harmonious whole that is a faithful representation of the expressive potential of the Soave and Valpolicella wine production areas. A crystal-clear photograph. A sober, sincere, attentive photographer. An experience to be savoured. The grapes grown on the company’s thirty six hectares are all vinified nowadays, however just a part is destined to be bottled. The reason for this is a simple one: the desire to achieve excellence without any nagging doubts over production or making wine merely for commercial purposes. In this way, the use of increasingly natural, low-invasive methods, short pruning, cluster thinning and constant attention to and promotion of the autochthonous grape varieties on the estates are fast yielding gratifying results and increasing the company’s prestige. Floral and fruity notes, minerality and olfactive and palatal intensity have the incredible ability to create the desire to taste the wine again. In this simple way the wine, not only gratifies the senses, but also becomes a veritable ambassador of conviviality.